MBA students at Olivet Business School (OBS) New York Extension present recent projects on strategy formulation covering situation analysis, business strategy and corporate strategy. It is part of the Business Strategy course taught by Professor Lisa Tolliver. In this particular project, MBA students were required to organize environmental and organizational information by using SWOT analysis and SFAS matrix. Then with TOWS matrix, students were able to generate strategic options for a corporation. This practical exercise equips students with the skills to formulate competitive strategies and to identify the basic types of strategic alliances for different businesses. 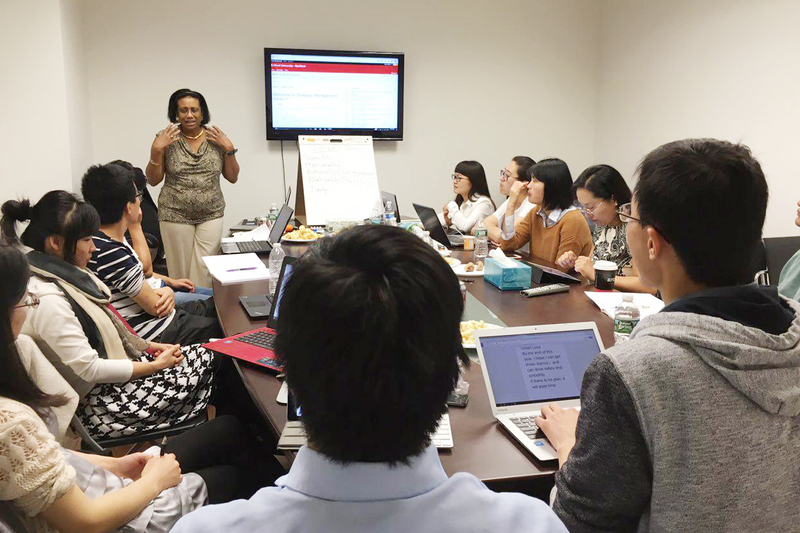 Tolliver (AB Harvard, MBA and post-grad Columbia) is a NYSED-licensed professional trainer and university professor. She is a host of several business and public affairs radio programs. She also lectures internationally, and serves on several organizational and editorial boards. Her doctoral research investigates correlates of effective leadership. The OBS MBA program aims to raise up a generation of Christian entrepreneurs with effective leadership, and be ready to excel in the fast-changing business environment.